Free-to-play is something that publishers are still trying to get their head around. It’s a method that very few have been able to crack and the secret sauce eludes the majority of those that try to get in on this relatively new phenomena. 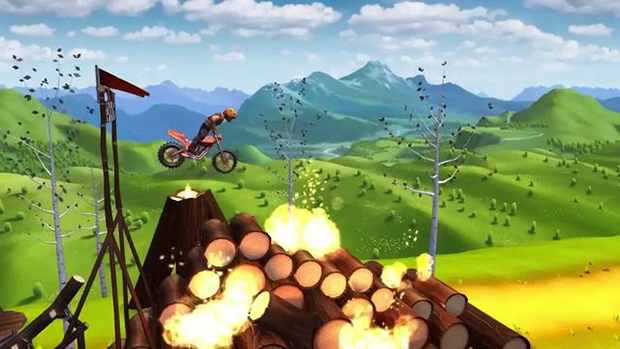 Ubisoft has adapted their widely successful dirtbike franchise for iOS with Trials Frontier, and admission is free. This will please the many that need a time-killer for various scenarios, but for fans of the sport, there’s a bit to sink your teeth into to. However, like so many before it, and no doubt a large number after, Trials Frontier suffers from the many problems that are associated with F2P. Firstly, this is a Trials game with a bit of a twist as there’s a story playing out all the way through. As the nameless, faceless “Rider”, you inhabit a wild west town that is being plagued by a fellow motorbike aficionado in Butch. You must help the townsfolk get to the bottom of what the caricature baddie is plotting by upgrading your bike, doing a bit of busy work, and beating him in many different races. Rubbish is an apt adjective for this narrative and it appears to be in place in order to give the casual audience something to grasp onto. 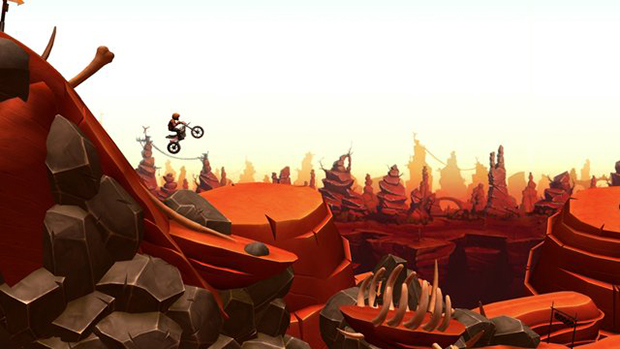 Not once did I ever that feel a previous game in the series warranted some sort of ham-fisted plot with forgettable characters, and Trials Frontier proves this in spades. Now, if one was to put that to the back of their head and revel in the wonderful twitch-based gameplay that Trials is associated with, you’ll have a cracking time – until it becomes a bit repetitive. Unlike practically all console games that make the jump to mobile gaming, RedLynx has virtual buttons that are neither intrusive, nor unresponsive. On the bottom left-hand corner, there are two arrows indicating where you want to shift your weight and also two arrows on the bottom right-hand corner for acceleration and reversing. Not once do your thumbs ever get in the way of the screen when playing on iPad, and it’s just as fluid as using a controller, albeit without the tactile feel of actual buttons. However, you’ll be experiencing that solid gameplay across a limited number of tracks, over and over again. A map of the area displays the stages available to you and within a short space of time, one of the NPCs will give you a certain task to complete – get a Silver medal, perform two backflips, etc. – on a previously completed level. While it is perfecting your skill, one would prefer to do so against some new, challenging backdrops. It becomes a grind, in every sense of the word. When you race past the finish line, you’re presented with a wheel that contains bike upgrades, among other things. After spinning the wheel and landing on one of the many parts that will improve your bike, you’re given the option to head straight to the garage and pimp your ride. Early on, these upgrades won’t put too much stress on your accumulated coins, but in time, it’s evident that they’re eager for you to drop some real cash in order to bypass the waiting game. It usually takes somewhere between thirty to forty-five minutes for a bike to be upgraded, but thankfully, this doesn’t render that particular ride void. You can still use it, but it won’t have the increased acceleration stat, for example. Of course, you can speed up this process through the use of gems. Another item of interest that is obtainable by spinning the wheel is a collection of said sparklies – nothing that will last a long time, but something that will most definitely help your cause. 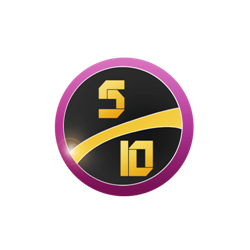 This is the game’s premium currency and the one thing that those in the fast lane will want. You only get one spin of the wheel after a race, but if you want to go again, you need to use gems. You don’t want to wait a bit for your mechanic to finish working on your bike: gems. At the beginning, this isn’t an issue as the levelling system will keep you stocked up, and those much sought after shiny diamonds will be flowing, but as the levelling slows down, it’s either grind to your heart’s content, or fork over some actual dough. Your fuel is another resource that will halt your progress — and in a game like Trials that keeps you wanting more, this is obviously an annoyance — each race requires you to use 5 fuel points (which later increases). Upon gaining enough XP to level up, your tank is refilled and you can hop back on the bike for more weight shifting action. Alternatively, every three minutes, your bike will gain one fuel point, which once again, in something as addictive as Trials, doesn’t bode well. Although, if you aren’t happy with waiting you can…y’know…just fill your tank with real money. See a pattern here? VERDICT: In many ways, Trials Frontier is another example of what can be done with tablet gaming. It’s an impressive-looking effort from RedLynx and plays nearly as well as it would with a controller, but the lack of available tracks and, most importantly, the progress-halting ideals are enough to hinder what could’ve been a title worthy of the much-respected Trials name. The true mark of a great F2P game is when you don’t feel like you’re being punished for not handing over some of the coin in your back pocket. 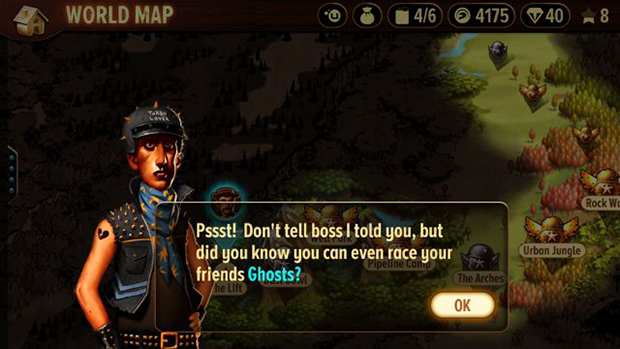 A great F2P game Trials Frontier certainly is not. How's things? I'm the video guy and would love if you'd watch the things I do like Debatable and For Your Amusement. I spend the majority of my days explaining why The Wire is the greatest TV show ever and clamouring for a Pop-Punk revival(c. 1994) whilst singing in my best Axl Rose-esque voice. Do not say professional wrestling is “fake” around me or, he’ll bore you with, what I like to call, “the risks they take”. Henrik Larsson is my hero.